Worn forks can greatly reduce the lifting capacity of your forklift. A 10% wear in your forks reduces the safe lifting capacity by 20%, making your 5,000lb forklift a 4,000lb forklift. Read whatANSI has to say about fork safety HERE. Never repair forks and inspect them daily for wear and other damage. 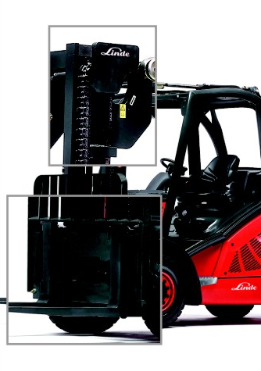 Read more about forklift mast chains HERE. Read our Feature Article about Proper Fork and Chain Inspection. Then give us a call. We will have the right fork and chain combination for your forklift, and we'll get them to you quickly with very competitive pricing.